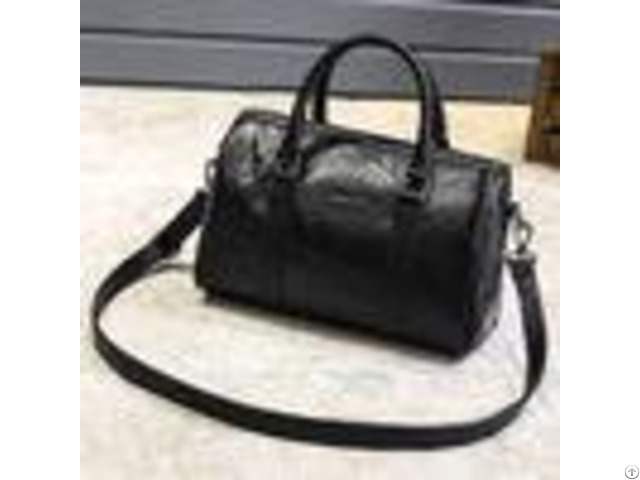 Spring and summer Black new European and American fashion Leather shoulder diagonal Bag Boston large Capacity Handbag Steady black Upright body type Complete every detail in deliberate Waiting for the one, take heart with consonance Product Parameters Material: the first layer of leather (cattle profile leather / cattle layer of moving film leather) Net weight: 0.64kg Colour: Black Size: Width 30 * Height 20 * Thick 16 cm Function: portable hand bag, shoulder bag Lining: polyester cotton Opening and closing: zipper Hardware: high quality hardware Interior: zipper pocket, cell phone pocket Equipped with an adjustable long shoulder strap SELLING POINTS: TOP LEATHER TOUGH NULON SEWING HIGH-END METAL HARDWARE PADDED NYLON LINING BOSTON IMPRESSION British style of the Boston bag, gives the impression of elegant, subtle, noble temperament, and also be popular favorited by people of its tall and straight shape High-quality scratch-resistant fabric Bag with the first layer leather, texture fashion, unforgettable touch also feel comfortable Make your bag more durable High-quality waterproof fabric Retro high quality first layer of leather, feel smooth and comfortable, waterproof fabric effect, layering is very natural Natural folds highlight the nostalgia of the product, the leather is good to take care of, Usually, half dry towel to wipe the surface could be okay. Features: 1. 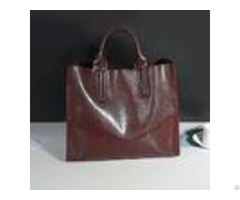 Quality first layer of leather Featured high-quality first layer of leather, fresh texture and natural, soft and comfortable feel, not easy to scratch, highlight the quality of charm, superior choice 2. Hardware reinforced handle Hand-held solid place is made with high-quality leather and a texture buckle, as an external decorative fashion domineering. 3. High-quality metal buckle Texture hardware buckle, connecting between the big and small bag, anti-oxidation, not easy rust, easy to disassemble, practical and safe. 4. Round and comfortable hand Handy with rounded, sophisticated sewing reinforcement, rugged, suitable width, ergonomic. PRODUCT SHOW: OUR SERVICES: 1) We accept OEM or ODM orders 2) We have a professinal design team and we can do the designs as per customer's request 3) We can do logo or brand name printing on the goods 4) We have a strict QC project team. We can provide high quality products with a reasonable price Packing& Shipping - - - - Sample | Lead time 1-3days, For first cooperation, need to charge sample fee | Lead time | 1-3 days for stocks; 30-35 business days for OEM order after sample is confirmed, depend on the quantity. | Port | Shenzhen, Guangzhou | Payment | T/T, PayPal, Western union | - - - - Welcome came to discuss business with us! Business Description: Equipped with 3 main specialized production lines and independent R&D group, we are available to help you in selecting the right protection for your ideas as well as to provide you with samples of our products for evaluation.